Brian Lomax (26) sleeps on a pile of bones – the remains of cremated Ebola victims whose relatives may never get the chance to collect. He was hounded out of his community by neighbours who feared his work at the Margibi crematorium in Boys Town, Lower Margibi county, was helping to spread the disease rather than contain it. This is the only place he has left to go. Lomax is just one of many Liberians whose lives have been altered by the cremations at Margibi, which came to an end in December after a burial site was found for new victims. 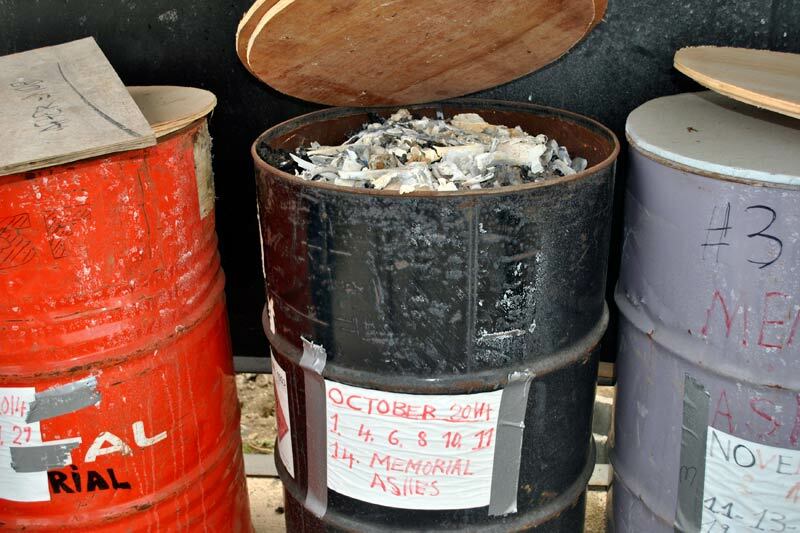 For authorities and health workers, who believe they are now beating back the virus, the cremations – an alien and unwelcome practice in Liberia – were a successful measure that helped contain the disease. “Cremation is not our culture. It was due to necessity that we had to cremate people, but it worked very well,” said Tolbert Nyensuwah, head of the government’s Ebola task force. However, over the past four months, waves of protests have taken place against it. Those who worked at the facility are left facing stigma, and the relatives of those who were cremated have no graves for their loved ones. Liberia was the country hardest hit by the Ebola outbreak, which has now claimed over 8 500 lives. In the midst of the crisis, disposing of the bodies of victims quickly and safely had been, and remains, paramount, as the bodily fluids from the corpses can still transmit the virus. By August last year, Liberia’s government was struggling to keep up with the rising death toll. Underpaid, under-equipped and overworked burial workers couldn’t cope. When teams clad in space-man like protective suits came to collect victims, terrified residents often chased them out. When members of Margibi county’s Indian community, which ran the Margibi crematorium 50 miles from the capital, offered to help, it seemed like an obvious solution. A group of Liberians were quickly taught how to carry out the Indian cremation method to dispose of the bodies. Sometimes up to a hundred bodies were burned at once. Members of the community living nearby reported huge explosions as it burned with smoke rising through the air. Disturbed by the process, they called it ‘nights of terror’. The burial process and honouring deceased relatives is an important tradition in Liberia, and often involves touching the body of the deceased. On decoration days, crowds visit cemeteries to clean and decorate the graves of relatives. The cremations, which were often rushed and en masse, left many relatives alienated, and often unable to locate and identify the remains of their loved ones. Lomax, a student who had never worked in a crematorium before, was one of those who volunteered to work at the crematorium. “[We] opted for it because we had to do a service to the country because no one wanted to do such a work,” Lomax said. The process of cremation burns corpses, but the bones then have to be ground to a powder afterwards – a stage that was neglected in the Margibi crematorium. “All these containers are filled with human bones and because we have nowhere to go, we sleep with the bones [inside this] fence,” Lomax said, pointing to a row of steel drums which he and his colleagues were placing wooden planks over to form makeshift beds every night. In August 2014 President Ellen Johnson Sirleaf decreed that the bodies of Ebola victims be cremated: “this measure is intended to avoid tampering with the dead and contaminating water sources”, she said. But promises that the ashes of Ebola victims would be handled respectfully and returned to family members quickly unraveled. The overwhelmed workers at Margibi didn’t know what to do. Some days, dozens of corpses arrived. Hundreds are thought to have been cremated at the site between August and December. “This is the largest altar where we burned 145 bodies. The ashes were too much, and we had nowhere to put them. [Back] then we had no knowledge of bringing in drums,” Lomax explained, referring to the steel drums brought in by the government when they decided to preserve the ashes. “So we just wasted [dumped] it in these holes. Later they decided that we use the drums,” he said. For those whose bones and ashes could not make it into the zinc containers, their bones are all dumped in a pit resembling a mass grave. “This is how people who died from this deadly disease were treated here,” said Lomax. 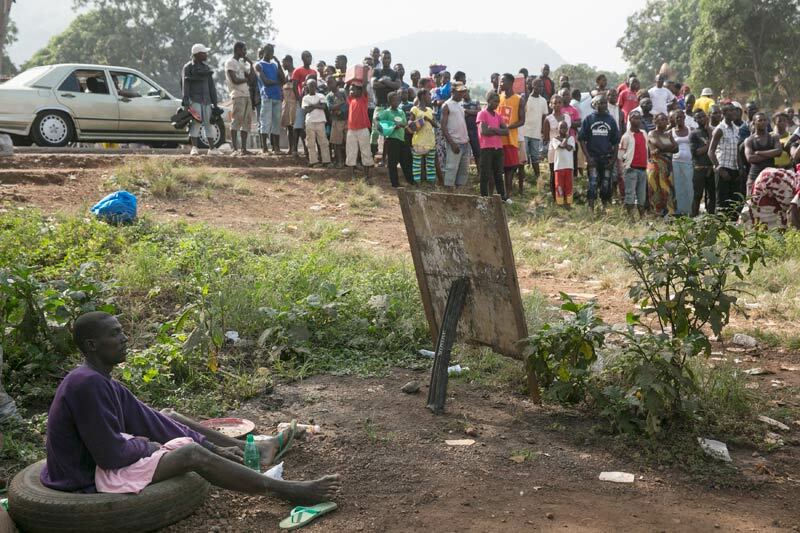 The Boys Town community called for all cremations to stop, and eventually a new burial ground was found on Disco Hill, also in Margibi County, where Ebola victims will be interred from now on. The bones now sit in silent rows, unmarked for any relatives who might want to claim them back. The only clue to the identity of those who remains are stored inside are the dates scrawled on the side of each container. Lomax has been outcast for his work at Margibi, believed to be the country’s only crematorium for Ebola victims. “My father has his house right behind here but he told the children I shouldn’t go there because I am working here and burning Ebola bodies. He said he does not want me to carry the virus to his house,” he said quietly. Just over a month ago, their bosses stopped coming to work and he worries about money. He and his colleagues fear they may never reintegrate into society. Tibelrosa Tarponweh, a local resident, called for counselling services to “ be provided to members of the community, including a select few that were hired without proper guidance to perform such an abnormal task.” He said the lack of training for Lomax and his colleagues had led to a “sloppy and harmful” process. Junior doctors at Sierra Leone’s main hospital went on strike on Monday in protest over inadequate equipment to fight the Ebola epidemic ravaging the impoverished nation. The action at Freetown’s Connaught Hospital follows the deaths of three doctors in two days, with new figures showing Sierra Leone has overtaken Liberia as the country with the most infections. “We have decided to withhold our services until proper and more conducive atmosphere is created for us to continue our work,” the Junior Doctors Association said in statement. The association did not say how many doctors were joining the action, but patients were reporting significant disruptions as senior consultants headed to the wards to cover their work. One junior told AFP she and her colleagues were “depressed” and “losing courage to turn up for work” because of the lack of equipment. “We are also worried over the deaths of our colleagues… which is very disheartening,” she said. The doctors say they don’t have enough respiratory machines and vital signs monitors, and that intensive care facilities are lacking in an Italian-built treatment centre in the west of the city to which some them are due to be sent. A source at the Junior Doctors Association said the union would meet on Tuesday to decide whether to continue the action. The World Health Organisation published new figures on Monday showing that Sierra Leone was registering the most cases in west Africa, for the first time, with 7 798 cases compared with Liberia’s 7 719. Sierra Leone has recorded around 1 742 Ebola deaths this year and has registered a worrying surge recently of cases in its western area, including the capital. 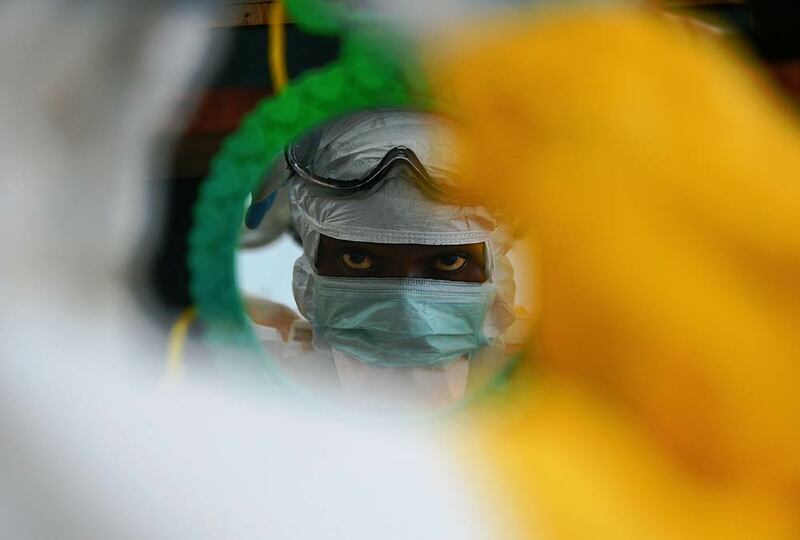 Ten Sierra Leonean doctors have died after contracting Ebola. Aiah Solomon Konoyima’s death late on Saturday at an Ebola treatment unit in Hastings, near the capital Freetown, came just a day after two of his colleagues were killed by the virus. Even before the Ebola epidemic spread from Guinea in May, Sierra Leone, one of the world’s poorest countries, was still struggling to rebuild its health services after a decade-long civil war in the 1990s. In 2010 the nation was estimated to have around one doctor for every 50 000 people – or roughly 120 doctors for the entire country. The doctors are among more than 300 healthcare workers to have died treating patients infected in the deadly outbreak, which appears to be stabilising in Guinea and Liberia but is still spreading at an alarming rate in Sierra Leone. The virus is spread through contact with bodily fluids, meaning healthcare workers are particularly at risk, and more than 100 have lost their lives in Sierra Leone. The outbreak has left more than 6 300 people dead worldwide since December 2013, nearly all in Sierra Leone, Guinea and Liberia. Watching with horror as the Ebola crisis ravages their country, Sierra Leoneans in London are mobilising to help their compatriots fight the deadly virus back home. Health workers are taking leave from their jobs in the state-run National Health Service (NHS) to volunteer in Sierra Leone, where at least 1 200 people have died so far. Others are raising funds for medical supplies, protective clothing and even hot meals for those affected – anything that makes a difference. “I see it as a call of duty – I need to go down and help my people,” said Ajan Fofanah, a 46-year-old trained paediatric nurse who has applied to spend eight weeks working in Sierra Leone. He was born in the west African country and moved to Britain aged 27 to further his education. Now he wants to use his skills to help battle the virus that has killed four members of his extended family. “I’m far away from them and this is what is heart-rending. I need to get closer,” he added. Fofanah was one of around 80 Sierra Leonean medics who attended an event in London last week to find out more about how they could help. All were successful professionals keen to put their careers in Britain on hold and even risk being infected with Ebola to help their country. Mohamed Koker, a 50-year-old emergency doctor who has worked in Britain for 12 years, hoped his knowledge of languages and traditions would help break down barriers with locals. “I think the urge within me to perform what I call a national duty overrides my fear,” he told AFP. It is not only doctors and nurses who are desperate to help. The British government is leading the international aid effort in its former colony, but members of the 23 000-strong Sierra Leonean diaspora here want to go further. 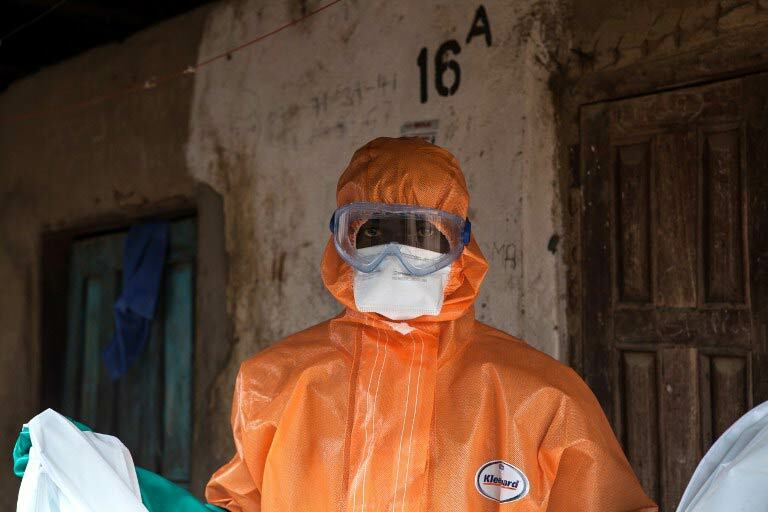 Ebola “is the only topic of conversation” among many, said Ade Daramy, chairman of the Sierra Leone Diaspora Ebola Task Force, which is working to help co-ordinate the response. “When you live overseas and you’ve got family there – that just breaks you,” added Memuna Janneh, a 46-year-old British business consultant who grew up in Sierra Leone. She started a charity in London to help feed people working on the frontline in Freetown, helped by her husband and relatives who are still living over there. “LunchBoxGift” provided 2 600 meals to people living rough during the three-day lockdown in September, and now hopes to provide 50 000 more to hospital workers and patients. “We may not have the cure, we may not have the logistics, we may not have the hospitals, all of those more complicated things that the government is battling to deal with,” she told AFP. 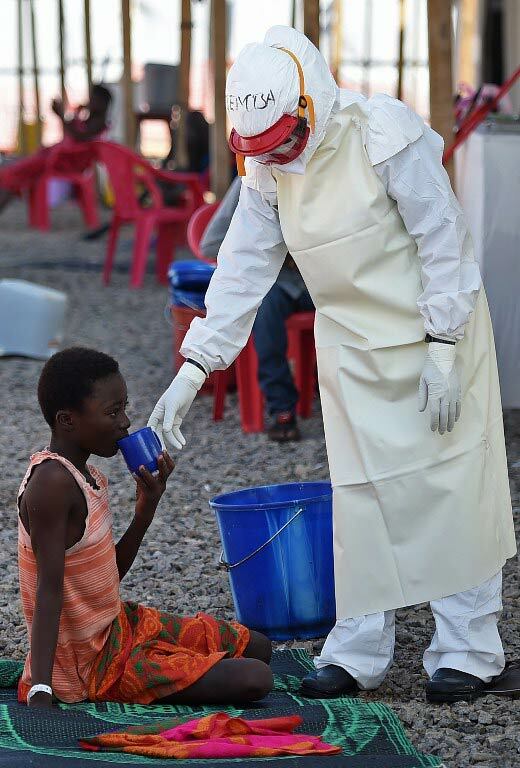 The British-based Sierra Leone War Trust for Children (SLWT) has also raised money to provide protective clothing and non-contact infrared thermometers for health workers and to deliver handwashing stations to rural areas. In another innovative project, it sent 1 000 plastic raincoats to provide basic protection from Ebola for drivers of the “okada” motorcycles commonly used for transport. For some, the urge to help is fuelled by a desire to save Sierra Leone from another trauma as serious as the country’s 1990s civil war. Mayene Sesay (32) saw her mother shot dead in 1999 and lost a foot when a house she was in was set on fire. She now runs an NGO for young disabled people in Sierra Leone. Although not a medic, she attended the recruitment event in London to find out what she could do to fight Ebola. “Whatever happens to me, I’m going to stay strong and help my country because I don’t want (it) to go through something else again,” she said.